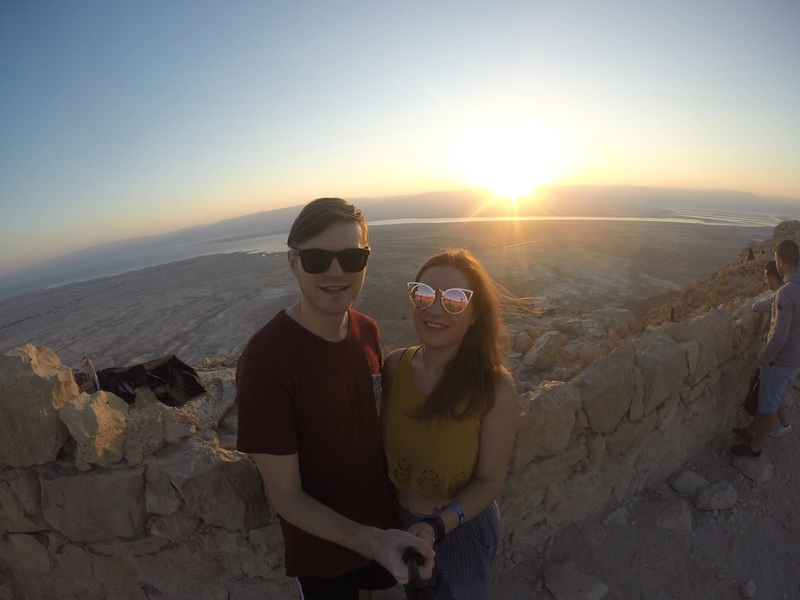 Masada is an ancient fortress in the middle of the dessert, with unbelievable views of the Dead Sea. Trekking up here in time for sunset is an absolute must - the climb is tough, but your sense of achievement and one of the best sunsets you'll see in your entire life will more than make up for it. Seriously, we tried so hard not to float there - we even tried pushing each other down, nothing will stop that sea from pushing you right back up - it's such a cool/weird feeling! After your float, be sure to cover yourself in that mineral-rich Dead Sea mud - it's so good for the skin, and makes for some funny photos! Of all the reasons to visit Israel, this one was the one I'd wanted to do for the longest and it didn't disappoint! 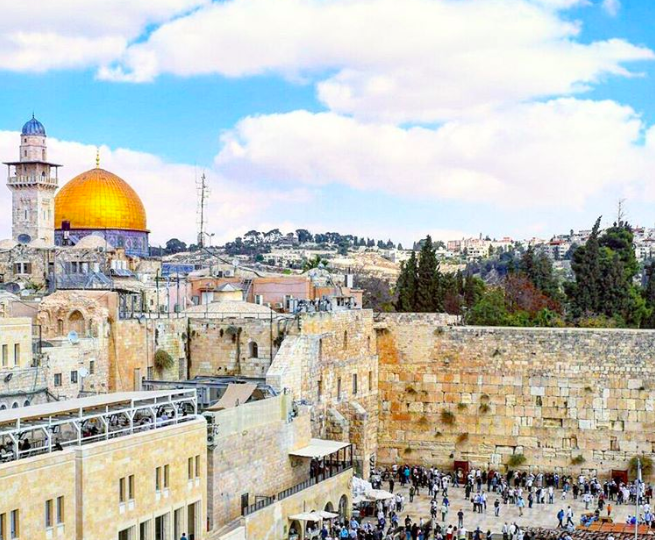 For example, the Old City of Jerusalem is split into four sections - Jewish, Muslim, Armenian and Christian. In the Christian section is a very very important church (built on the spot where Jesus was supposedly crucified). The Christians could not agree which fraction of Christianity should look after this special Church's key - so a Muslim family agreed to keep it safe for them. Hundreds of years later that same Muslim family comes every morning and every evening to open/lock up the church - how nice is that! Of all the food we ate last year, Israel was our absolute favourite - it's diverse, it's delicious and it's soooo vegan friendly - read more: quick vegan guide to visiting Israel. 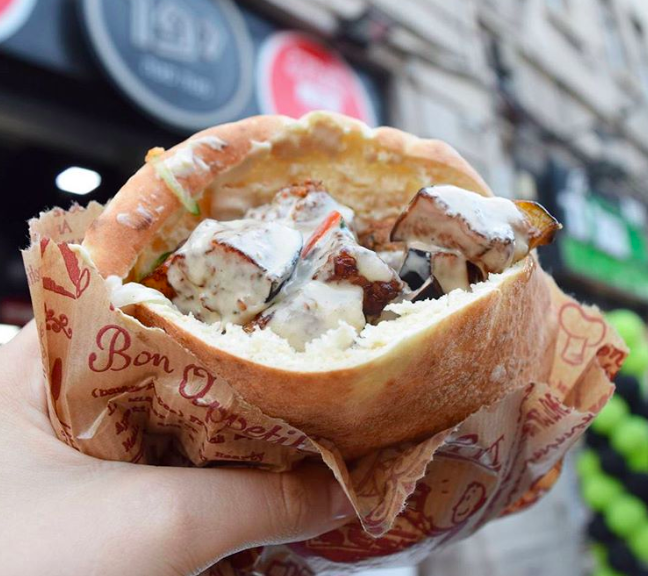 No matter what kind of food you're into*, Israel will not only cater for you - they will go the extra mile and then some. 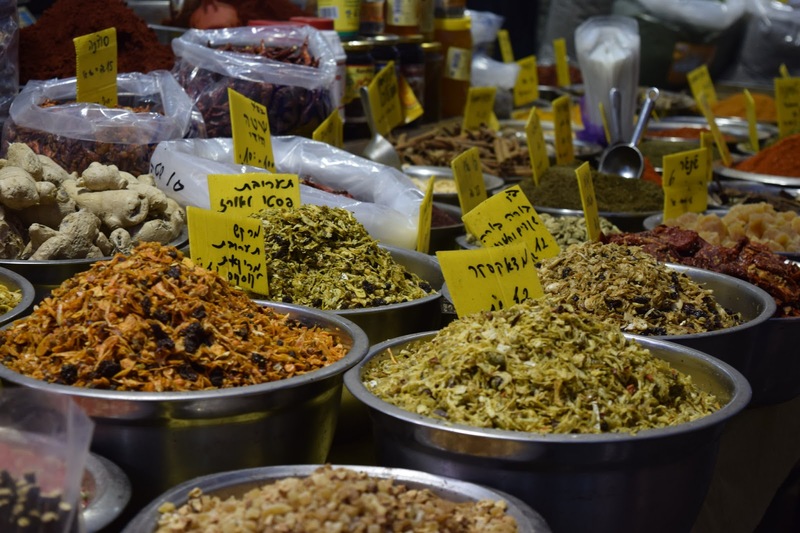 We highly recommend taking a food tour and/or a cooking class when you're in Israel! Tel Aviv apparently has a medium age of 31 - this means lots of young families, lots of cool restaurants and cafes, awesome graffiti, hip bars and of course - it's a gold-mind for hipsters. We spent a fascinating afternoon in Tel Aviv, wandering around and soaking up all the graffiti. A Kibbutz is a collective community unique to Israel - originally based on agriculture, they are similar to communes. Anyone who even slightly knows me knows I hate kids - they're annoying - in Israel I was shocked by how many kids we saw playing happily. Why was I shocked? Because they were so sweet!! And not annoying at all. It was lovely to see children happy - and often they were hanging out by themselves / with other kids. I don't know why (other than we're bad at history and geography), but we never knew the Romans came down this far or wide. But come they did and in the Caesarea National Park you can see some of the most impressive Roman ruins I've ever seen. Right on the Mediterranean coast, it's a beautiful place to spend the morning. 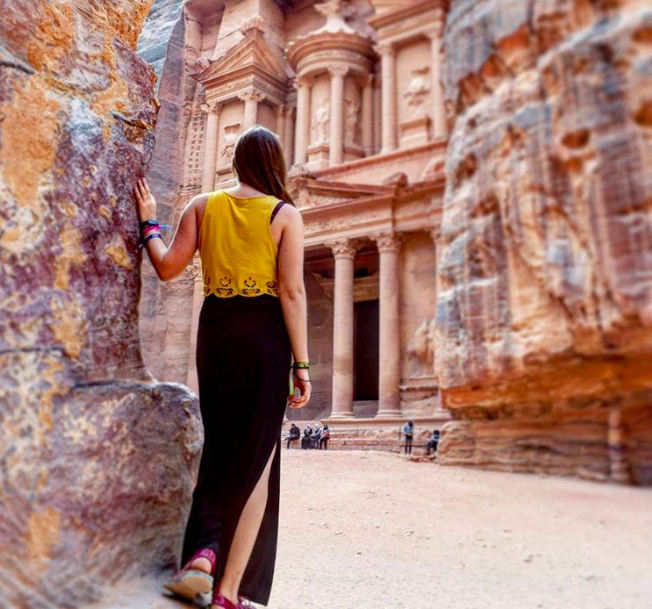 Israel shares a border with Jordan and it's relatively easy* to cross over and see one of the seven new wonders of the world - Petra - plus of course Jordan itself. Petra was one of the most beautiful places we've ever been to and is definitely our favourite new world wonder (sorry Roman Colosseum and Great Wall of China). Jordan itself was also a country that we really enjoyed - the people are friendly, the food is nice, and the weather is pleasant!!! Dry heat for the win. If you head to the north of Israel you can see Nazareth and visit many of the places Jesus supposedly performed miracles including the bread and wine one and where he 'walked' on water. As you can tell, we're sceptics, but the water place really was eerily beautiful - there was this gorgeous mist on the water and it felt magical. (Plus we had a great time walking on the stones and pretending that we too could walk on water, oh and we sung that walk on water song a lot. lol). There are cats everywheerrreeeeee in Israel - and not the usual kind of cats you get in countries where cats are everrryyyywheerree (aka scabby cats), these cats were all gorgeous, well looked after, friendly. It's a cat haven! 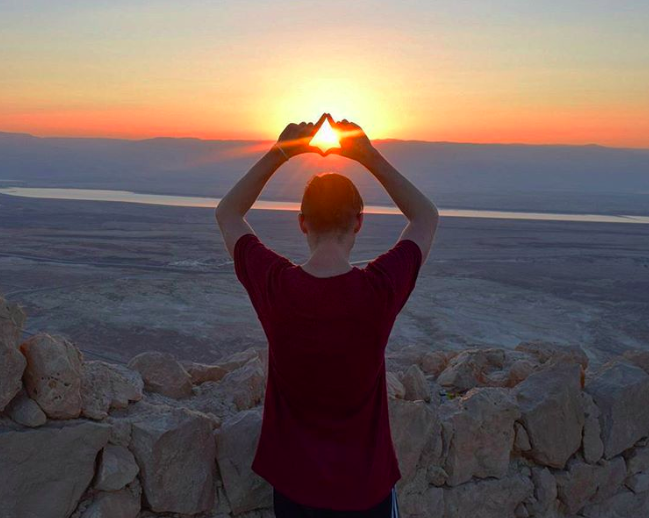 Why visit Israel? For the dogs of course! I loved Tel Aviv for many reasons, the main one being that everyone seems to have a different breed of dog - each dog cooler than the last. We saw fluffy ones, we saw tiny ones, we saw all the dogs and I fell in love with them all. Did you know that they make really amazing wine in Israel? Because we had no idea they even made wine there, let alone how good the wine is. We went on a wine tour near Nazareth and loved it! Not only was the wine impeccable, they also served chocolate (vegan friendly) liquor that was to die for. Like I said earlier, the food in Israel is incredible, really really delicious and filling, but also healthy. 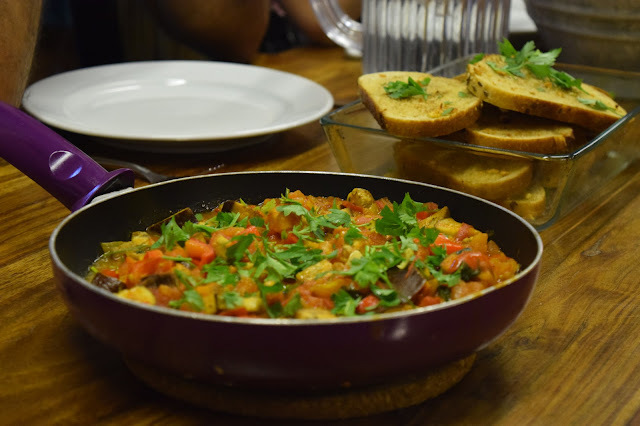 We tried a cooking workshop in Tel Aviv and it was lots of fun - we met lots of cool people and at the end sat down together to enjoy the delicious meal we'd prepared. Israel has three seas - the Med, the Dead, and the Red. The Mediterranean is on the West Coast which means one thing and one thing only - absolutely incredible sunsets, with the sun so large and orange it will make you cry with happiness. We were really amazed at how the three cities we visited in Israel - Jerusalem, Tel Aviv and Nazareth were all so completely different to each other. We liked them all, but we liked them for different reasons. Nazareth is a beautiful, winding set of streets that go up the mountains - go there, get lost, find your way to the top and be rewarded with some amazing views. Of all the reasons to visit Israel, Nazareth wasn't the highest on my list, but it truly surprised me - what an amazing place! I love visiting markets when I travel, but after one too many pushy, grabby market men in South East Asia / Greece / Italy / Birmingham (lol), I've learnt to be super aggressive and don't-treat-me-like-another-dumb-tourist when it comes to markets - I will shout no at everyone, and I will haggle until they cry. Anyway, in Jerusalem they're not like that at all, they don't shout that much and were taken aback by my down right rudeness. People were genuinely just being nice there, not trying to pull one over on Cody (and pat me down for good measure). Last, and certainly not least, Abraham Hostels. 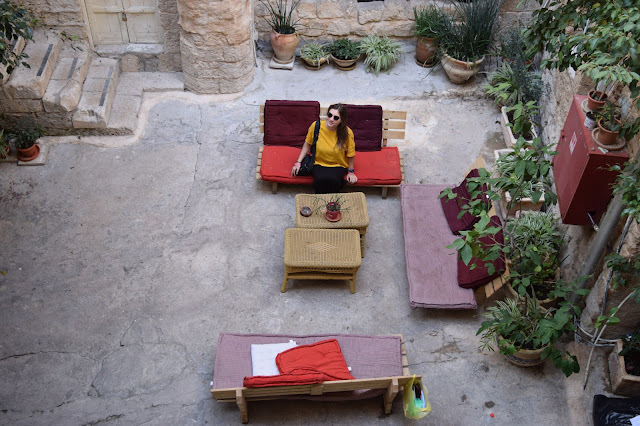 We stayed at all three of their branches: Jerusalem is a in a great location, close enough to walk to the Old City - anddd they offer free walking tours that start from the actual hostel (so you don't have to worry about getting lost on your way there). 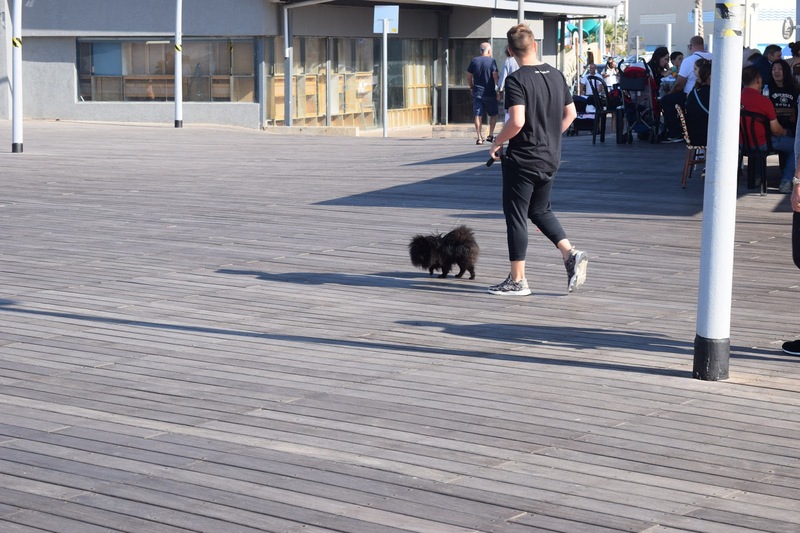 Tel Aviv was so hip and cool, we met so many cool people there! When we were staying they had one of the coolest bands in Israel playing, and we went to a night club type thing during the day. Nazareth is more a guest house than a hostel and we loved it! It was so pretty and authentic. All three offer free breakfast - and it's one of the best free breakfasts we've ever had from a hostel - it's not hostel quality at all. And actually that extends to the whole of the Abraham Hostel idea - they are hostels, BUT they have better quality everything - great kitchens, great chill areas, nice staff, these awesome maps that give you discounts to nearby restaurants, cafes and clubs. Everything felt well thought out and delivered. Disclaimer: Travelling Weasels were invited as guests of Abraham Tours and Abraham Hostels but as always all opinions are our own. We've never recommended something we haven't personally tried and loved, and never will because that's lame.